Textbook is an attempt to present the history of Poland's state system and law from the earliest times up to the present. Generally speaking, this publication is intended for Polish students who are studying law in English. 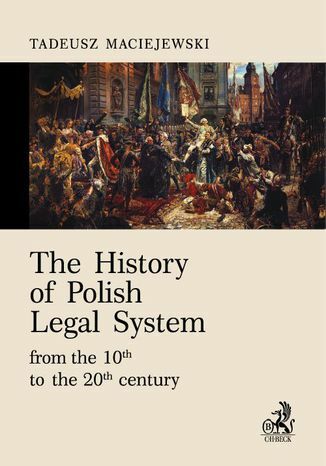 It also attempts to popularize the history of Poland's law abroad and it is the first work of this kind in Poland available in English. This will help to bring the subject -matter closer to all readers in the Word. Ebook porusza temat History. Jedną z istotnych spraw poruszanych w ebooki jest: Polish. Jeśli interesuje Cię: System, to ebook dla Ciebie. Dużo wiedzy na temat: century w formacie EPUB, MOBI i PDF. ISBN 978-83-255-9600-2. Porównywarka cen ebooków, które dostępne są w formatach PDF, MOBI i innych. Na urządzenia Kindle i inne. Tutaj znajdziesz ebook, którego szukasz. Nie wszystkie ebooki w ofercie są darmowe. Wspierajmy autorów i kupujmy ebooki.